Patrick Telfair was one of the most outspoken critics of the Georgia trustees. Telfair worked with Thomas Stephens, son of the secretary to the Georgia Trustees William Stephens, to organize the unhappy colonists or “malcontents” in an official campaign against the Trustees. Telfair was the primary author of the tract “A True and Historical Narrative of the Colony of Georgia in America.” Telfair wrote the tract as a reaction to William Stephens’s “A State of the Province of Georgia” which argued that there was wide support for the Trustees and their policies among the colonists in Georgia. Telfair, Patrick, M.D., Hugh Anderson, Dr. Douglass and others. 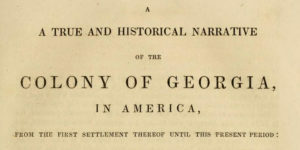 “A True and Historical Narrative of the Colony of Georgia in America, &c.,.” (1740) In Collections of the Georgia Historical Society, Volume II. Georgia Historical Society. Benjamin Martyn was employed by the Georgia Trustees to be their official secretary. 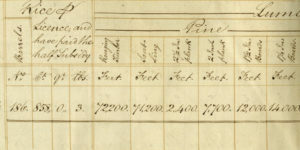 It was Martyn’s job to keep the official records for the Georgia Colony. 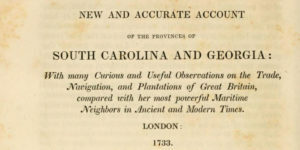 In 1741, Martyn’s “An Impartial Inquiry into the State and Utility of the Province of Georgia” was published. 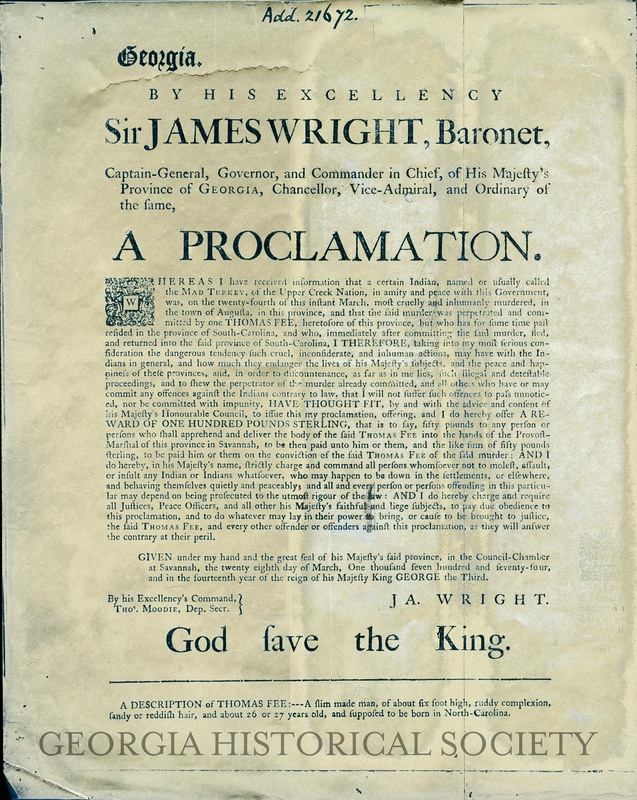 The document was created for the express purpose of addressing critics of the colony. Benjamin Martyn (1699-1763). 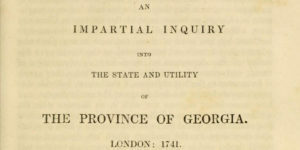 “An Impartial Inquiry into the State and Utility of the Province of Georgia.” In Collections of the Georgia Historical Society, Volume I. View the item on the Internet Archive. 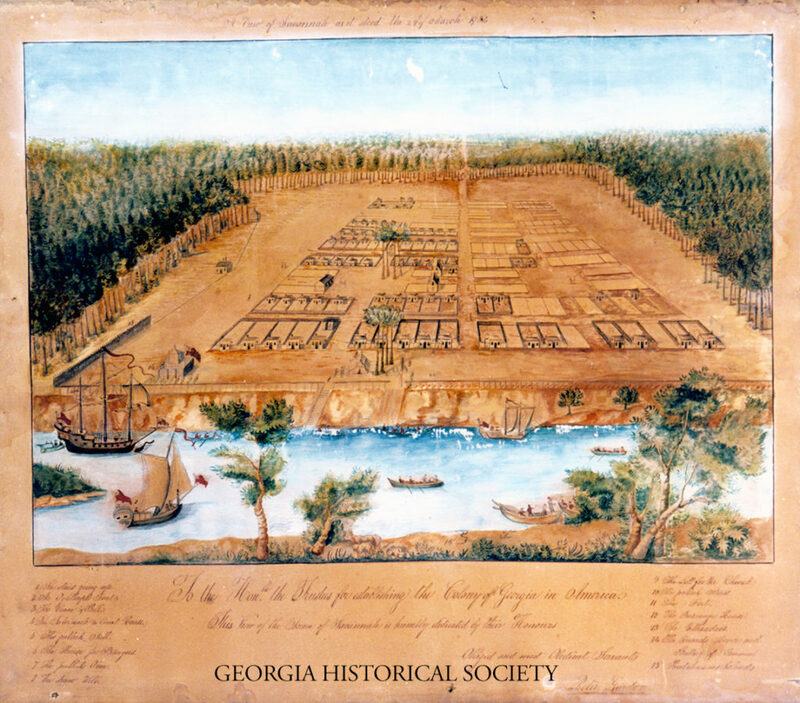 The Georgia Gazette, the colony’s first newspaper, started printing in 1763. It is a great resource for understanding life in Royal Georgia. The particular advertisements selected here focus on the slave trade in Georgia. Slavery was banned in Georgia until 1751. Once the ban was lifted, the slave population in Georgia quickly grew as wealthy South Carolina planters expanded to Georgia. 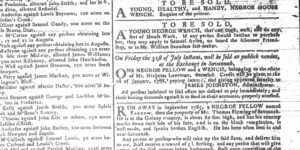 Advertisements in the Georgia Gazette, July 01, 1767. James Wright served as royal governor of Georgia from 1761-1782. 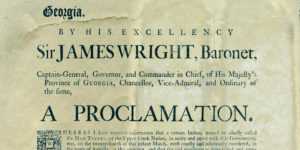 The James Wright Papers at GHS contain letters, proclamations, and reports written by Governor Wright. 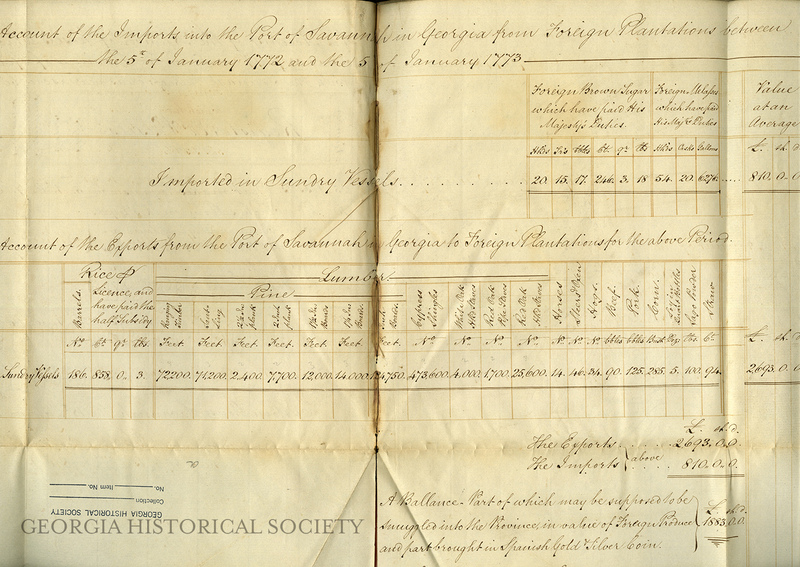 A report written to Lord Dartmouth in 1773 includes a chart showing all exports and imports to the Port of Savannah the previous year. Account of the Exports and Imports at the Port of Savannah. Report of Sir James Wright on the Condition of the Province of Georgia on 20th September 1773. James Wright Papers, MS 884. Georgia Historical Society. Download a transcript the document. Read Governor Wright’s full report on the Internet Archive. 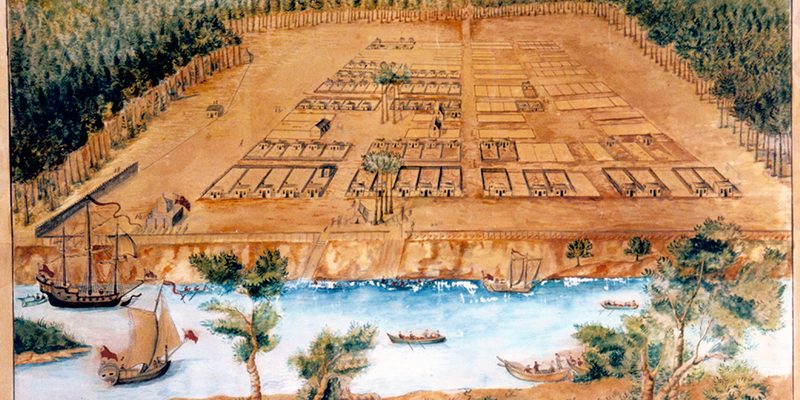 Peter Gordon’s 1734 “View of Savannah” provides a visual representation of the early settlement on the banks of the Savannah River. Peter Gordon, one of the colonies original settlers presented it to the Trustees in London as a descriptive map. This image is a watercolor on paper of the original Peter Gordon sketch. The map shows Oglethorpe’s unique design for the city. The plan was based on a system of town wards, each containing building lots, trust lots, and a central square. View of Savannah as it stood on 29th of March 1734. From the Georgia Historical Society Map Collection, 1361MP-001. View a description of the item in the GHS Image Catalog.